Blogging has since emancipated from just a hobby to a job role to alot of persons all over the world. Stories of bloggers that make thousands of dollars online every month has been mentioned everywhere and techmaga.com will not be the last to make publication of these top money earners from blogging. It is no longer that difficult puzzle for one to believe that making money online blogging is possible but difficult. A flash back to when i started blogging, i used to think that the money would just come at the twinkle of an eye but i received the slam of my life when the money was not seen even 50 metres away from my door step after i had labored so hard and invested some good fund in it within the first four (4) months. N/B: Please note that this list does not follow any form of Hierarchy as it is just being mentioned in no particular order. Alexa rankings, Page ranking and traffic level was not considered before this article was written. It is just based on the writers love for this bloggers and there blog. A way of telling them "Keep it up." Image edited by: Techmaga.com. Credits To All Bloggers Whose Images Appeared Here. A blog that got the first breath of life at the later quarter of 2012 or so has since grown from just a baby blog to a most sourced after blog around the globe, especially among the lovers of Oxwall. Ewtnet.com was first named eobasi.com and later changed to ewtnet.com when the owner decided to rebrand the blog and its name to suit its future taste. Beside establishing further and re-branding, the blog has been mentioned in the post of one of the worlds top hosting companies "Arivixe" and has since secured a romantic bosom among all Oxwall users. I remembered some users of Oxwall attributing the ownership of Oxwall to +Ebenezer Obasi of ewtnet.com after he denied credits of ownership to Oxwall and attributing it to the rightful owners. I bet if you are a regular visitor to ewtnet, then you would have no other option than to be a loyal visitor. If you belong to one of the famous bloggers group in Nigeria "Bloggers Lab," then +Obasi Miracle is not a new name to mention as the dude has since given his blogging career a thumbs up. Although in recent times i noticed that hist blog has not been updated for a while, maybe this might be as a result of him combining education with blogging. Though often times, this dude is kinda of lazy to make post, but no doubt, the articles he curls on his blog are exceptionally brilliant. I remember reading an article of him making complaints of his former hosting company. If you are a joker, i will advise you retrieve your jokes when it comes to business with him because i know him as the business blogger. 3ptehies deals mainly on technology news, and at times, the blog can be seen to be making article of some strange techs i have not heard in a while. I guess the hands on practical knowledge and ICT skill of Miracle has been his fuel to seeing the blog grow from success to breakthrough. A brother to Ebenezer Obasi; these two brothers can be crazy sometimes but i'd love following up there blogs. 3ptechies.com is one of the top ten tech blog to be seen more often in 2015. When i first saw this blog when running a search on the google search engine, i was like "Do witches and wizard actually run the atmosphere"? I clicked on it and saw one of the most useful contents on the sites. Really do not know the main owner of this blog, but link sharing of articles from this blog on my facebook page seems to be attached to the profile chinonso Anyikwa. Since he shares more update about the blog, i should be certain that these dude run the activity of this blog. The birth of this blog is still something i can't seem to fetch but the growth of this blog has never been mistaken for once as the blog has continued to supply its users there needs according to its riches in glory. Chinonso Anyikwa makes publication mostly on Networks data plan and cheap data plan, while following his blog bumper to bumper, i observed that the young man also has a flare for Andriod devices. If you are still struggling to browse the internet cheaply, then Chinonso Anyikwa should be your media consultant to let your browsing career turn around for good.Guruswizard is one of the ten blogs i feel has the potential to reach wider audience in 2015. After the owner Nosa Ero Nosa, celebrated his one million view on his blog, i have never stopped being an addicted reader to his blog. One spectacular thing about the owner is his use of undiluted vocabulary like the popular former Nigerian house of rep member "Patrick Ogbiahabor." Forgive me if i failed to spell the name properly as this is due to me not knowing the spelling. To me, Techrez.com is a major source of lively and most sourced after news. One thing i enjoy about the blog, is the way it makes me feel at ease when i read and parole with its use of tense and grammars. I bet you, if i owned an institution, Nosa will be my HOD in English language. Beside comments on the social media, i have not had a one on one chat with the owner of Techrez. But if you are looking for a blog that slowly educates you and keep you in the known, then techrez is not far from you. Techrez is one of the blog i see with a greater future in 2015. If you need help in having an ocean of knowledge on how to make multiple streams of income online, then makemoneyonlineng is the blog to read up. Though he does not know me, but his works does know me alot. I remember reading one of his spectacular article on making money via the social media facebook, it was indeed fun and i bet i learnt alot from this blog. One great thing i love about this blog, is the way he sticks to his niche and never stops updating. He has a way of telling more people how to make money online without getting them confuse. If you are new into blogging, then makemoneyonline should be your resource portal for money making.Make Money Online Nigeria was started by +Adesoji Adegbulu It is constantly updated with posts/articles that teaches Nigerians how to make money online legitimately, build online business and also create wealth.I call his blog a well of online money makers in Nigeria and no wonder he holds a spot among the ten blogs to watch out for. Samir is one of my top commenters on techmaga and i thought it will be very nice i follow up his blog too. The name looks more like an indian name though even though i have tried to have a short chat with him but to no avail. Samir runs a blog that specifically deals on science and technology. As the name implies,"alltopfive." Samir or will i say Sadek runs a blog that shows users the top five things around the globe. I have a strong penchant for one of his article which holds a title of "Top Five ways to save income tax." That article is a wealth of inspiration to me and i bet, no one can doubt the efficiency of that article towards tweaking ones attitude towards saving of income. Alltopfive.com is simply a blog i love alot. I have secretly followed the update of this blog and at a time i remembered adding him on facebook to have a chat with him but no reply came from his account. Geekng.com which is a new domain name has been around for a while now. The blog which is managed and run by +Aseize Okaztle has since seen the face of success over the years. Geekng does lot of cool stuffs like tutorials, configurations and social media tweaking. One of the keyword that has seen to have drawn a couple of traffic to this site is "2go." He has been able to solve the problem of users who face challenges in this area and this has earmarked him to a successful career. If you need a blog with much abundance of knowledge, feel free to run onboard to Geekng. When it comes to Wale (Doncaprio.com) blog, i am totally speechless. His style amazes me. One thing i know majorly about this blog is that the owner is a core tech savvy and a self confessed Tupac fan. Geek.ng was formally known as doncaprio.com before the owner made an awkward decision to change the name to Geek.ng hammering his main reasons on wanting to carve out the blog out of his name. The blog is a revenue sharing site and over the years, the blog has not stopped giving Nigerians and the world what they want. One thing l love about this blog is that Geek.ng explains tutorial step by step without getting you the reader confuse. I am a self confessed fan of +Don Caprio and i know he knows he is good in what he does. Doncaprio of Geek.ng has been running his blog for a while now and his passion for blogging has been one of his driving force to levels of success. He holds a place in my heart when it comes to successful bloggers and blogs to watch out for in the future. "Ogbonge," according to the Nigerian lingo, means "Better." What do you expect when you mix "Better" and "blog" together. It simply means better life, better money, better idea, better tutorial and above all, better google adsense earnings. +Jide Ogunsanya who is currently the founder and editor of Ogbongeblog has not stopped fueling this passion to the next level. Though heaven broke loose when Ogbongeblog went down for a month but i am glad it is back. The passionate blogger has not stopped letting his readers into his wealth of knowledge over the years and this has been of help to him in enjoying massive traffic from especially Nigerians. He is like "Everyone wants Ogbonge thing, so make i give dem better better." Apart from Ogbongeblog.com, one of his most sourced after site is his newly built Sms portal "Nairaforsms.com." I am a regular customer of his Sms service because of its affordability but one thing i find struggling in Jide is that he sometimes takes long to respond to calls when i call for confirmation of payment. But the guy is good. Jide has this big love for Globacom Limited, one of Nigeria's most sourced after telecommunication company. I guess he works there. But the guy is actually a good guy. Though this is not a blog but a forum, but i need to recognize the presence of my oga at the top na. You know what i mean . Ngbuzz.com is a multi - niched forum with a high growth potential of providing first hand news, tech, and other wonderful tutorial. The owner, +Soki Briggs is a good friend of mine. Infact he taught me most of the things in blogging before i started. Ngbuzz is a large forum that can not be undermined at any time and that is why google seems to be making the dude happy at the end of the month (He knows what i mean). If you are the type that follows the Bigbrother Africa show, then Ngbuzz is your resource center. One exceptional thing about the forum is that the owner careful writes and proof reads his article before publication is made. I rather call him a business blogger, since he currently owns and manage a big cyber cafe with a dish. I think i will be considering him for an entrepreneur to watch out for when i start it up in the nearest future on this blog. So you think i was going to mention these names without calling out my baby blog "techmaga"? hmm. That is not possible. 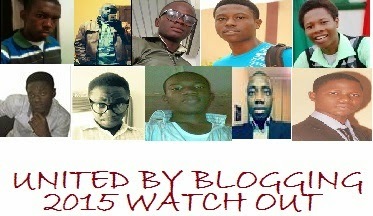 Techmaga is my bonus blog because it belongs to me +Idaerefagha Allison that wrote this post. I also run an educational blog, though it was ranking higher in past times before my former host lost all my contents and kept it offline for like 6 weeks. Loadedvilla.com is still struggling to take back its later glory. Do you know of any blog or you want to say something about this list, feel free to use the comment box below. I love to hear from you. My shoulder aches badly now. Please use the social media button to tell your friends about these great people. Wow! Nice list there bro, I know almost all the fellows you mentioned here they are all doing great in the blogosphere. But I thought my blog would have made the list (http://www.flowingtechblog.com) The Tech Evangelist!. I am sorry i forgot to mention ur blog. But in my next list i am going to give you that credit too. Just keep on working on your site to make it sniff to the top.Thanks for stopping by. Thanks for the mention; I'm honored. Btw, you need to check the link to ewtnet. Thanks for your kinds words Allison, I am highly honored. I didn't know someone like you had cool stuffs to say about my blog. I really do appreciate all of it. BTW, you got my name a little bit wrong buddy, it's Nosa and not Nonsa.. I do hope you effect the change within your spare time. Hi Nosa, thanks for stopping by. I really missed out in spelling your name but correction taken and implemented. I appreciate you stopping by and do have a nice day. Nice one Ida. What happened to LV was quite unfortunate, you will be on your right to sue the host :) I sincerely hope things will get back together the way it was before or possibly better than it was. Overall, you ve made an awesome list here and I'm indeed proud to be part of this list. I think Don's decision to re-brand doncaprio.com wasn't entirely 'awkward', geek.ng is a very suitable name for what he wants the site to become. I am also honored to meet Samir and Adesoji. I will definitely check out their blog this weekend. Good to have you on Techmaga.I really thought you had gone on exile. Well, i appreciate you stopping by at Techmaga. It is such a wonderful experience to havea CEO like you make a honourable comment. Thanks buddy. Its great list you have here already, I'm honored to recognized in your list, hopefully we 'll work on how often we update our tech blog over the coming months. Gurusmaker you are on point na. You kinda went on an unannounced holiday before now and i was like "Are you not going to blog anymore," Good a thing you have words that has given me hope. Thanks for stopping by. Thanks for stopping by. Like i said earlier, Blogging is becoming a major job role in the world since it does pays the bills for some peeps. Thanks for dropping by. Sorry I didn't checked this post and I must say I'm feeling very honored to be features here. Nice to have u around. Been a pleasure. I guess you should also update a list for 2016 blogs. wow....!!! techmaga make a not a list, also create a wonderful work.